Chelsea have announced their updated Europa League squad for the knockout stages, and there has been one surprise inclusion from Maurizio Sarri. 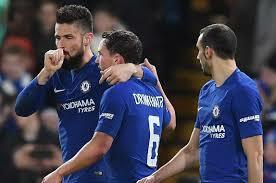 Danny Drinkwater was not in the squad for the group stages, having not played for the Blues since the Community Shield defeat to Manchester City, but he has now been added by the club for the rest of the season. Victor Moses has also dropped out of the squad after his loan move to Fenerbahce, however the Nigerian can play for the Turkish club in the knockout stages after rule changes. Gonzalo Higuain comes in for Alvaro Morata after his switch to Atletico Madrid, while Rob Green also remains out of the squad so that Chelsea don’t go over their homegrown quota with a third goalkeeper.